We don’t think being called “witch” is an insult at all. Think about it, what is someone really saying to you? That you’re in tune with the magic of the world, you’re mysterious, you’re a bit unruly, and your power frightens me. Cool! Let’s all be witches, then, and tap into our most fearsome selves. Whether you plan to use your sorcery for good or evil, you can start freeing your inner witch by donning the appropriate wardrobe. When you’re a witch, you don’t even have to think about what to wear every day—what a relief! 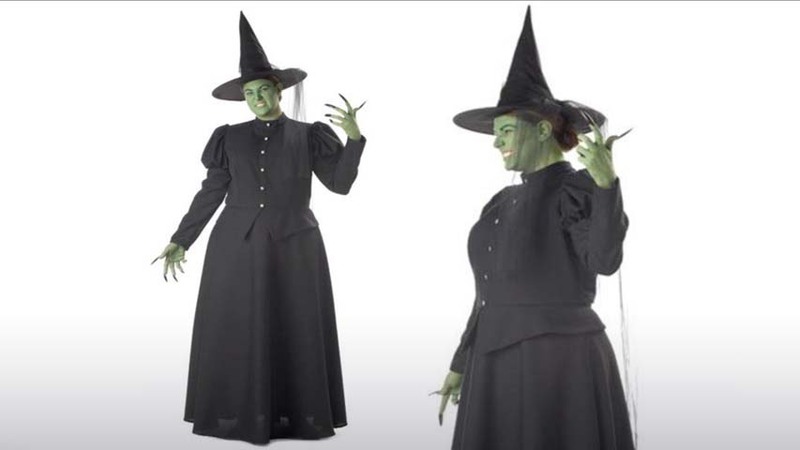 Now that looking the part is out of the way thanks to this Plus Size Black Witch Costume, you can focus your energy on the more substantial tasks: selecting a spell book, shopping for a cauldron (cast iron or nonstick? ), taming one of your neighborhood’s black cats to obey you, practicing your cackle, and forming a coven for a weekly meet up. We think it’s great how you’re diving into this witch thing head on! Your outfit provides you with the quintessential template for all your witching needs and sets the tone for a very powerful new life for yourself. 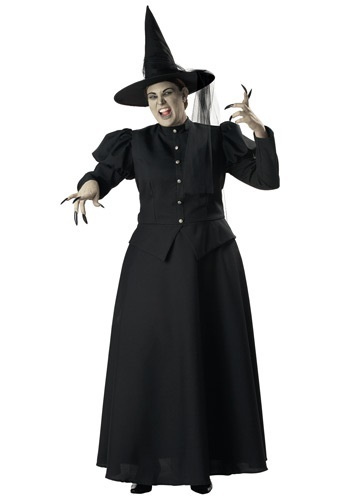 Notice how you haven’t deviated too far from the classics: the black pointy hat, the black tulle petticoat, even the black fake fingernails scream “witch” in the wickedest of ways. Not only do we think you’re fabulous for owning your magical self, but we think the name callers of the world will truly rue the day they met you!